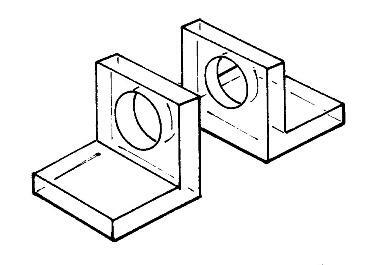 Pin-Style Hasp-1"w x 2-1/4"L. Clear acrylic. 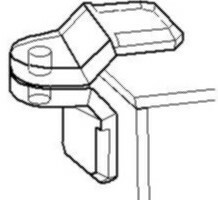 A removable pin enables this 2-piece hasp to reverse for either corner or flat mounting. Mini Hasp Set. 3/4"h x 3/4"w x 7/8"L. Clear acrylic. These mini hasps are an easy and economical way to secure your displays. Flat mounting style with a 1/4" diameter padlock shackle hole. Mini Hasp Set. 7/16"h x 3/4"w x 1-3/8"L. Clear acrylic. These mini hasps are an easy and economical way to secure your displays. Corner mounting style with a 1/4" diameter padlock shackle hole.